Montana is considered a purple state by political wonks tracking the way voters lean. Not only ago, it was estimated that an upcoming U.S. Senate race here between incumbent Jon Tester, a Democrat, and a yet-unnamed Republican challenger, could cost upwards of $70 million, setting a new record. For a state with slightly more than one million residents, many would consider such spending on a single political race an unsettling amount of money. Tester believes that reducing the influence of big PAC money in politics and overturning Citizens United would benefit America's representative democracy. At the same time, another force is at work on the national stage—that of court challenges to redistricting. 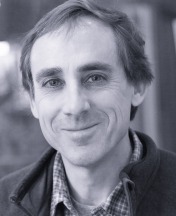 Mountain Journal recently had a wide-ranging conversation with Dr. David C.W. 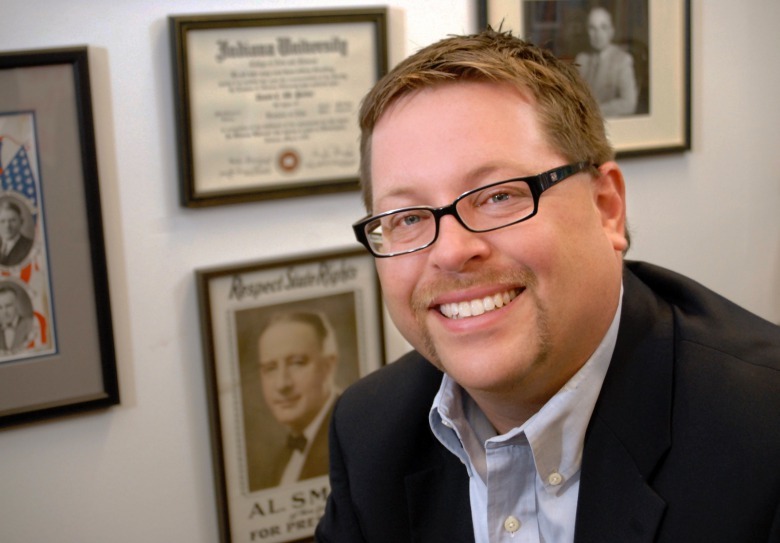 Parker, a professor of political at Montana State University. Part of that exchange was featured in an earlier MoJo story but we want to offer it as a standalone interview here in case you missed it. We spoke with Parker about what he sees develop with the U.S. electoral map and what, if any, implications it will have for the rural West. The recent ruling by the Pennsylvania Supreme Court on Congressional redistricting probably isn’t on the radar screen of many living in the northern Rockies but Parker believes it has potentially huge consequences for the country, federal policies being enacted on Capitol Hill and how much clout the West will wield in the years ahead. Parker also gazes into his crystal ball and assesses the prospects of both incumbents Tester and U.S. Rep. Greg Gianforte (R-Mont). TODD WILKINSON: First of all, please give us a basic civics lesson on what redistricting is, what it is supposed to do, how districts are set up and what the GOP did that was challenged and overturned in Pennsylvania. DAVID C.W. PARKER: The Constitution mandates a decennial census. The results of the census are used to apportion U.S. House members among the various states based upon population totals and the method of equal proportions after each state receives the guaranteed minimum of one. In the 20th century, it has been generally the case that apportionment is followed by redistricting--that is, once a state knows the number of members it will receive, district lines are drawn to create congressional districts for the members. It is the responsibility of the states to draw those lines. Many states, state legislatures and governors draw up the redistricting plans, other states send the process to bipartisan commissions or the courts. As national politics has become increasingly competitive between the parties and technology has improved, battles have shifted from election years to the redistricting process as both parties have sought to create an edge. WILKINSON: You note that state legislatures play a key role. PARKER: In the lead up to redistricting, which typically happens after the census and before the next Congressional election (e.g., between 2000 and 2002 or 2010 and 2012), money pours from the national party committees into state legislative and gubernatorial elections in attempt to control the redistricting process in states where it is still controlled by professional politicians. After the dust settled from the 2010 midterms, Republicans controlled 25 state legislatures, up from 14. This allowed Republicans to dominate the process of redistricting, and using sophisticated strategies combining geo-mapping and big data, to draw districts that gave them an electoral advantage in house districts. WILKINSON: The mantra of Donald Trump is Make America Great Again as if the future will like the past. And that mindsight seems to be prevailing with the rhetoric of what some would call the radical right on Capitol Hill. But it seems to exist in denial of the changes in America that are underway. And we should point out, that radical right controls Congress, The White House and is shaping the judiciary. It is also gutting decades’ worth of long-established environmental policies. Where is the hurricane that is supposed to be blowing from the other direction? It hasn’t arrived. PARKER: One possible reason why the Democratic majority has not come about in House elections is because of the partisan gerrymanders that pack Democratic voters into fewer districts. Judicial decisions that undermine the structural advantage Republicans hold may be exactly what Democrats need to gain the momentum necessary to take advantage of demographic fortunes and finally establish that majority. But, there are other important advantages Democrats have now as well. First, they are going into a midterm election where the president's party has been traditionally punished and the president is historically unpopular. They should pick up seats—only twice in the post-war era has the out party not picked up seats. Second, we are at the end of the Reagan regime. In many respects, the election of Trump signals the politics of disjunction described by author Stephen Skowronek, where the dominant party begins to unravel as factional disputes cause the party to lose its definition and focus. This leads to a new regime that dominates politics for a period of thirty or forty years, led by the out party that established the core governing theme and establishes a new electoral coalition. WILKINSON: Are there any implications of the redistricting decision for Montana, Wyoming and Idaho? PARKER: Not immediately in the sense that Montana and Wyoming have only one seat, and Idaho only two. There may be implication for state legislative districts. Looking at Section 4 of Montana’s Constitution, there’s language suggesting you can’t discriminate based upon political beliefs while also guaranteeing equal protection of the law. Under that, I could see a lawsuit being filed to overturn seats that create an undo advantage for a party. WILKINSON: There is talk that Montana may gain back another Congressional seat. How do you expect to see those districts being set compared to, more or less, the old way of an eastern vs. west divide? PARKER: Yes, I’d agree with that. And you’d get an Eastern seat which will be more conservative and a Western seat, which is more liberal. The big question would be where booming Bozeman might fall in drawing those lines. WILKINSON: Montana, Wyoming and Idaho are regarded as flyovers. Do they matter? PARKER: Do they matter in terms of the electoral college? Wyoming is not competitive, so there’s no reason for a candidate to campaign there—and one might argue that if you eliminate the electoral college, there would be even less reason if that’s possible. Montana is a bit more purple, and almost went for Obama in 2008 and went for Clinton once. That means that nominally Montana matters more in presidential elections, but in practice, not really. If Montana does get two congressional seats, they could put in place a system like Maine’s where a candidate gets one electoral vote per congressional district won in the popular vote. That might make Montana more enticing from a campaign perspective in tight election years. WILKINSON: The widely-held perception from the coasts is that spacious Montana is a "rural" state. PARKER: Montana is an urban state, a state of small cities. It’s not as “rural” as one might think. Do rural counties have disproportionate influence? I’d say that rural counties in Montana receive far more federal and state assistance than they might like to believe. Is that influence? Perhaps. 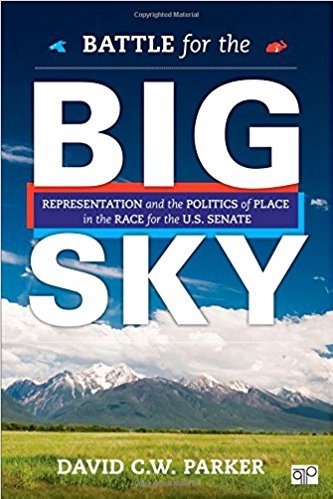 WILKINSON: You wrote a book, Battle for the Big Sky: Representations and the Politics of Place in the Senate about the race between incumbent U.S. Sen. Jon Tester and his challenger, U.S. Rep. Denny Rehberg. What did you learn? PARKER: That Montana is an urban state that likes to think it’s rural. That the state is not red or blue, but really purple. It is a state leery not just of federal power, but of big corporations. It is a state not just of individual loaners, but a state that values community and was founded, in large part, because of a cooperative spirit and a willingness to help neighbors. 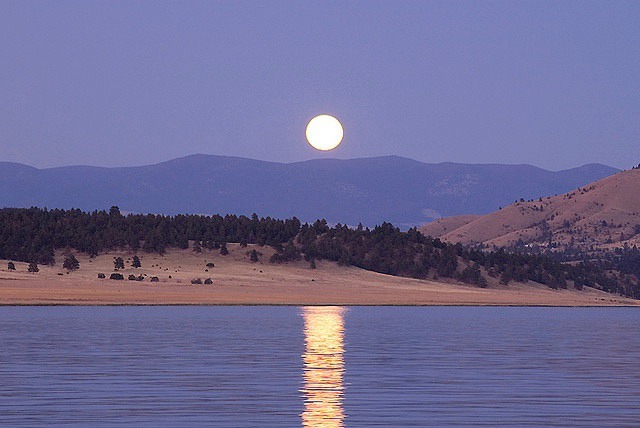 It is a place where both Republicans and Democrats love the land, care deeply for it, and are willing to look beyond partisanship when choosing its leaders. WILKINSON: Both active U.S. Sen. Jon Tester of Montana and former U.S. Sen. Alan Simpson of Wyoming favor campaign finance reform. Is Dark Money a problem? PARKER: This is a tricky question, and mostly because I’ve evolved somewhat in terms of my view. On the face of it, I agree with the notion that money is connected to speech and that money spent on electioneering should receive the highest protection under the first amendment. That said, I think Dark Money is enormously problematic because it allows some individuals a grossly unequal voice in the political process and in a manner that distorts democratic procedures. Candidates and political parties, when they engage in electioneering, have to worry about the consequences of their actions on their brands. Rich individuals and organizations do not. There is no fidelity to the political process. There is no fidelity to transparency. A group can pop up, drop a bunch of ads, and disappear. That creates a problem of accountability and it distorts the political agenda. And because there is not accountability, they can make outrageous, even false claims—and do so at the last minute in low information elections that can tip the balance. That’s the danger of dark money. WILKINSON: Why does the media matter? PARKER: The media matters for two reasons. First, to create a record of facts upon which we can all agree. Second, to hold our elected leaders accountable to the people. A free and unfettered media is an important public check on tyranny. The media matters for two reasons. First, to create a record of facts upon which we can all agree. Second, to hold our elected leaders accountable to the people. A free and unfettered media is an important public check on tyranny. WILKINSON: In what direction do you see the political make up of states like Montana, Wyoming and Idaho headed? PARKER: That’s hard to say. I can’t see Wyoming becoming any less Republican or conservative. Montana is interesting. The rural areas are getting older and less populated, with the state’s growth in urban counties. The highest rates of birth are among Native Americans. This all suggests that that the state may trend more Democratic in the years to come, but much of that depends on migration pattern into the state and who is moving here. WILKINSON: As incumbents, do you think Sen. Jon Tester and U.S. Rep Greg Gianforte will have tight races and do you have any predictions? What are the key factors? PARKER: For Tester, he’s in a better spot than he was in 2012. His competition is not as strong, and his Republican opponents are generally weaker or have flaws that may be easy to exploit in the general election. It’s a midterm election, and it is unusual for the out party to lose seats in the Senate. Tester is in his second term, so he is not as vulnerable as he was running in his first reelection campaign. He is raising money at a faster clip than he did in 2012, and he has been ranked as one of the most effective Democratic legislators in the Senate. And he has a series of bills that have been signed into law under Trump. He has real accomplishments to show Montanans, more so than he did in 2012. We also haven’t seen the amount of outside money come in and attack him that we did in 2012. There are other, more inviting Democratic targets for those groups to focus on at the moment. Key for Tester is remaining personally popular despite his Democratic label. PARKER: For Gianoforte, the circumstances are different. As an incumbent, he is in a weaker position. It’s his first reelection, and he won a special election, so he’s not a true incumbent in the full sense of the world. Democrats are raising a lot of money, so that suggests there’s enthusiasm among Democrats, while Gianforte has raised very little since the special election. Nevertheless, Gianforte has to be considered the favorite. His seat is ranked as competitive by Cook Political Report, but the seat is rated as likely. He should win. That said, in a wave type midterm election, this is the type of seat that could become increasingly competitive as time goes on. He has also, surprisingly, developed a pretty moderate voting record. According to Voteview, he is more liberal than the median Republican in the House. No doubt, his physical assault on the reporter will be brought up, as will the lack of town hall meetings. Perhaps his biggest weakness is his personal wealth in the sense that I’m not convinced that the average Montanan feels connected to him. But, even if he doesn’t raise a lot of money, he can call upon considerable personal resources to fund his campaign. I’d still put Gianforte at 70 percent for reelection. WILKINSON: How connected do you think Westerners are to public lands? PARKER: Very connected. I don’t see that appreciably changing, particularly in Montana where people use public lands extensively. In fact, Westerners may appreciate it more as cities expand and population continues to rise globally. WILKINSON: If you could wave a magic wand and by edict order changes to the political process, what would those changes be? PARKER: I would require our executive officials to subject themselves to weekly questions from Congress much as they do in Great Britain. I would also require politicians to create policy briefs which honestly, and forthrightly, lay out the positive and negatives of the policies they pursue—and to anchor all of their policy decisions in empirics, rather than their hopes and prayers—or blind adherence to a particular ideology.